Venezuela’s Commander of the National Guard posted a video on Monday about the drone attack against President Maduro the previous weekend, showing pictures of a nearly $5,000 M600 drone. As one product review of that drone model notes, “Only a professional needs a beast capable of carrying a 13-pound payload,” a large volume if the payload is explosives. Why it matters: Although details of the attack are still emerging, the scenario is one that drone experts have predicted for years. No longer restricted to advanced militaries, drones are now accessible to non-state actors and even individuals, lowering the bar for anyone with nefarious aims and not-too-deep pockets to pull off an attack. In the Middle East, the Islamic State has been weaponizing commercially available drones by modifying them with explosives. Since its first foray in October 2016, when it used a bomb-equipped drone to kill two Kurdish soldiers, the Islamic State has improved the accuracy of these devices and perfected a strategy for terrorist groups elsewhere to carry out similar attacks. 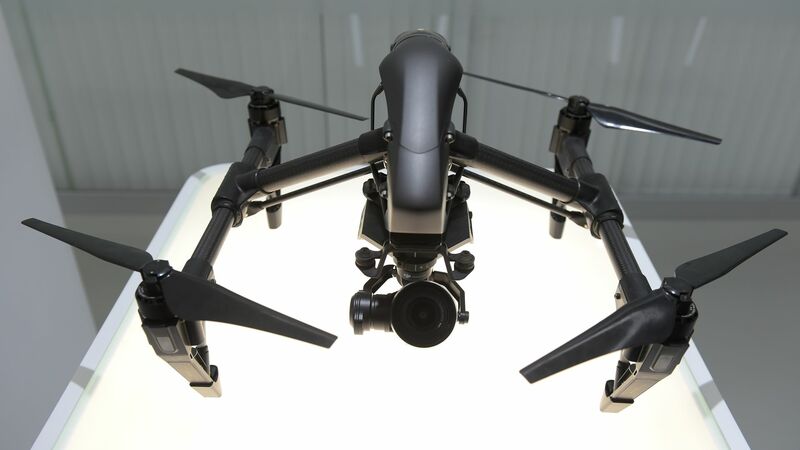 In civilian settings, drones are attractive to attackers because they can circumvent security barriers and metal detectors that would stop vehicles or handheld firearms. The growing risk has been underscored by several high-profile incidents, including a drone that hovered in front of German Chancellor Angela Merkel during a campaign rally in 2013 before crashing at her feet and another, too small for radar to detect, that landed on the White House lawn in 2015. What to watch: The drone threat is driving a counter-drone market that includes lasers, jammers and even eagles. The Pentagon alone has requested $1.5 billion for counter-drone programs. Yes, but: Offense still holds the advantage. There’s a nearly infinite number of “soft targets” and an attacker only has to be right once. At a bare minimum, a drone attack scores points as a spectacle, so that even failure is success if it instills panic among the public or in a political leader. So even if drones are not the “perfect assassination weapon,” as Senator Dianne Feinstein has claimed, they are probably good enough that they we will see them used for these purposes again. Sarah Kreps is an associate professor of government at Cornell University and the author of "Drone Warfare" (with John Kaag) and "Drones: What Everyone Needs to Know."